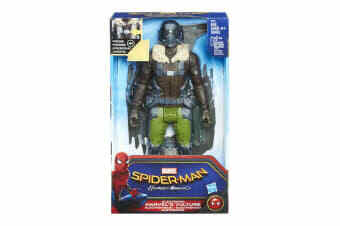 Every hero needs a nemesis, and this titan-sized Vulture Figure is the ultimate competitor. Kids can now imagine Spider-Man Homecoming’s biggest threat with this high tech super villain. Activate battle effects in the midst of the action. 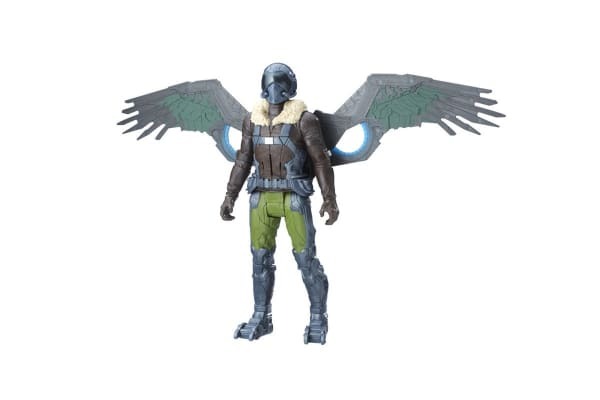 Create epic battles with this titan-sized Spider-Man Homecoming Electronic Vulture figure. Collect other Titan Hero series Marvel characters and be the hero of giant action battles.